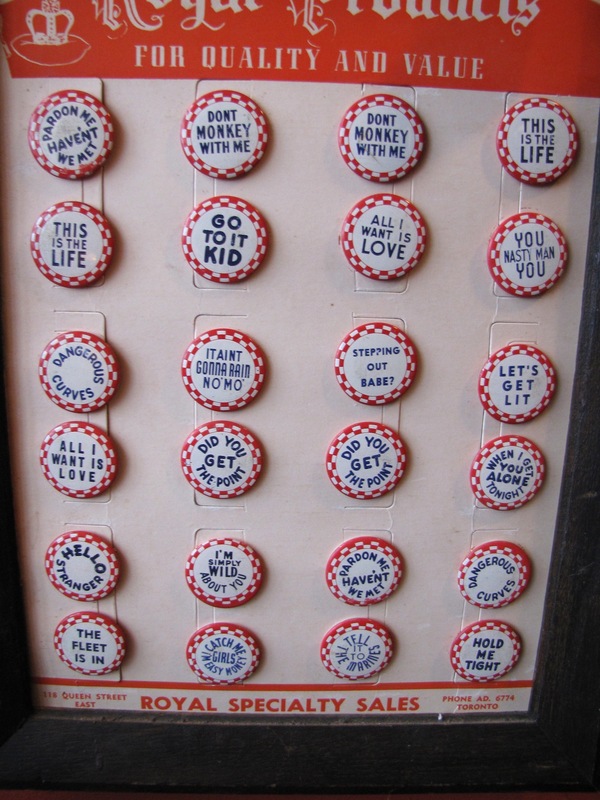 This is a trade board in cardboard that holds 24 lapel pins with wonderful vintage phrases from the mid 20th century. 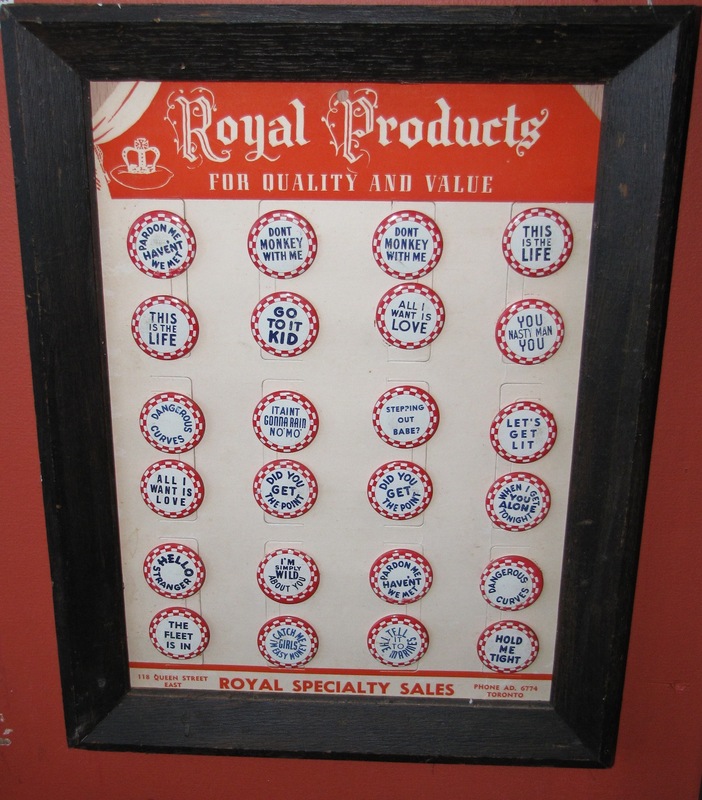 It is dated mid 20th century by the Toronto phone number AD 6774. Sold from a store at 118 Queens Street East. I have framed it for presentation and to protect it. This would be a great conversation piece in an office or house. Or, you may just want to wear a button that says "The Fleet is In". All in very good condition.